I went in search for the perfect MS-70 coin today among the boxes of coins scheduled to be graded. I concentrated my search to boxes of predominantly “modern” coins – say those minted after 1980 – containing Proofs, commemoratives, or gold and silver Eagle bullion. 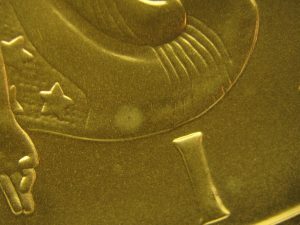 I don’t believe any coin reached the MS-70 grade at a major service before the end of the last century because the services were reluctant to say that a perfect coin existed. In reality, the Mint had been producing many thousands of microscopically perfect coins years before most of the major grading services were a glint in their founder’s eyes. Nevertheless, the perfect grade remained elusive until one of the “majors” broke the ice and others reluctantly followed. I believe the high quality of twentieth century bullion and commemorative coins produced at the Mint caused this change that finally expanded the Mint State system to its fullest. Perhaps one day, as grading “evolves” further, a vintage type coin will be given that elusive “perfect grade 70” but so far, to the best of my knowledge, the highest graded vintage coins have been MS-69’s. Although modern Proofs are specially made and handled, I find that the best source for a perfect coin is among the mint state specimens. Look for coins sold in sealed sets and plastic capsules or Silver Eagles in original sealed green “Monster” boxes. 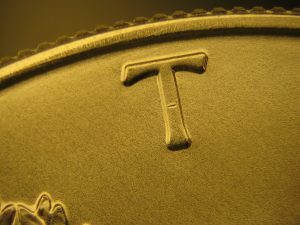 One reason to search Brilliant Uncirculated coins rather than Proofs is that the delicate, reflective surfaces on the Proofs tends to accentuate any flaws, hairlines, or contact marks which may be less apparent on a BU specimen. Looking for or grading a perfect “70” coin takes time and a careful examination. I tilt the coin back and forth at the same time as I turn it in my hand. A bright incandescent light bulb of at least seventy-five watts is preferred and a darkened room is helpful. I hold the coin a few inches over a velvet jewelers pad so it will not be damaged if it is dropped. Check the entire coin with your naked eye first. Look at both sides quickly. I learned this the hard way. Many times after closely scrutinizing one side and deciding it was perfect, I turned the coin over and immediately saw that the other side was not! Once I decide that the coin passes the “eye” test for attractiveness, luster, and lack of marks; it’s time to use some type of magnification such as a hand lens. A perfect coin will be perfect whether you view it with a 4X glass or 16X glass. I like to use my stereo microscope set at 7X because it allows a faster examination of a coin while using both eyes. The lighting and your method of examination are more important than the power of magnification you choose. Use a systematic approach. I usually check the raised letters near the rim first looking for shiny contact marks. While the bright light will reveal contact marks and hairlines, I rely on a fluorescent light to look for any white spots and stains that will also lower the eye appeal and grade. Each grading service has different standards regarding the magnification used to assign an MS-70 grade and the allowance given to any minuscule, mint-made defects that may be present. I don’t wish to give out any misinformation here so you should check with each service for their policy at the moment. The 15X micrographs with this column illustrate some defects to watch for on Silver Eagles that will take a coin out of the seventy range. Each of these coins is graded MS-69 and would have made MS-70 except for the one defect shown. Figure 1 is one of the commonly seen hits on the top of a letter. These “hits” are easily overlooked if you are not careful. Figure 2 shows several hairlines in the field. 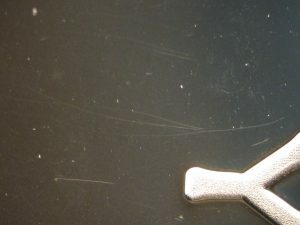 Figure 3 shows a white spot in the design.